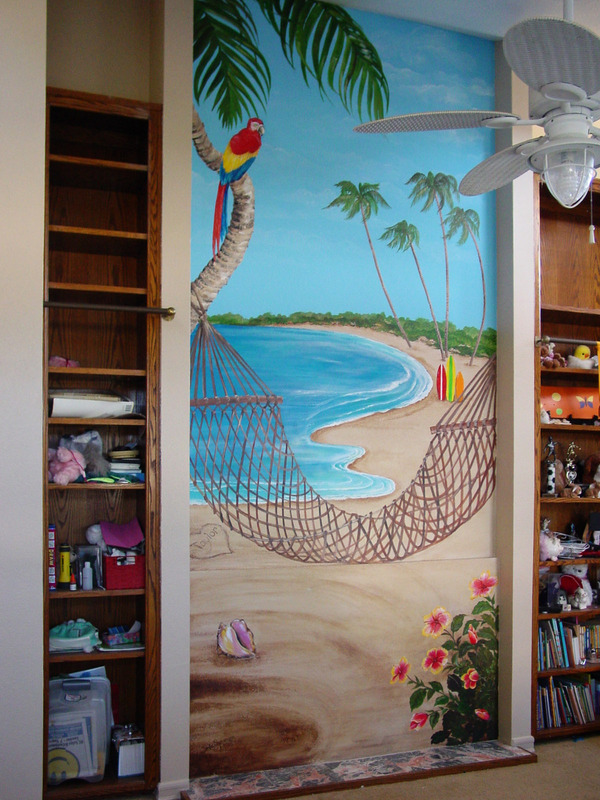 This mural is 12.5 feet x 5.5 feet in a young girls room. It was a redo after a series of unfortunate events involving the original mural. I admire the contractor, Jason Welch, for handling the situation in a professional manner doing everything he could to repair the it. The homeowners turned out to be lovely people and a pleasure to work with…..thank you for the flowers. Yes, they even sent me flowers after the job was done. A first, and it truly astonished me. After 20 years, the people I come in contact with in this job continue to surprise me. Don’t you just love it? Previous Post3D Texturing and Lighting. Reconstruction Outdoor Crime Scene.